Al Qaeda in the Arabian Peninsula (AQAP) released a two-part lecture by ex-Guantanamo detainee Ibrahim al Qosi earlier this month. Qosi threatened the Saudi government and explained al Qaeda’s rationale for waging jihad in Arabia. Qosi has starred in several AQAP productions since the group revealed his leadership role in early December. A DC district court released its opinion denying Guantanamo detainee Bostan Karim’s petition for a writ of habeas corpus. 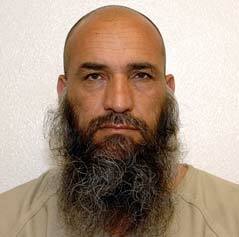 Karim led an IED cell that targeted Americans, and several other members of his network were detained at Guantanamo. During congressional testimony, Director of National Intelligence James Clapper said that the estimated recidivist rate for ex-Gitmo detainees has risen to 27 percent; 161 ex-Gitmo detainees are now either “confirmed” or “suspected” recidivists. The New York Times reports that Osama bin Laden’s courier was found to be in contact with members of Harakat ul Mujahedin (HUM), a terrorist organization long backed by Pakistan’s spy agency. Leaked Guantanamo files provide more details about the relationship between HUM and al Qaeda. A former Guantanamo detainee was reportedly involved in plotting against targets in Saudi Arabia in December 2009, two years after he was repatriated to the country. He remains a member of al Qaeda in the Arabian Peninsula (AQAP).